When the economy is down, many people may not think that their most valuable asset is their ability to work. If an illness or injury keeps you from earning a living, how will you pay your bills? According to the Social Security Administration, more than one in four 20 year-olds today will become disabled prior to reaching their retirement age. But, the U.S. Census Bureau has found that only 31% of U.S. workers have long-term disability insurance. Disability insurance is not the same as workers’ compensation. For most disability insurance, the injury or illness do not have to be the result of a workplace incident or exposure. Most research shows that the most common causes of long-term disability are heart disease, back injury and cancer. These are followed by anxiety and depression. 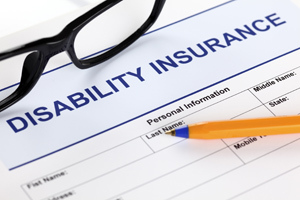 There are two types of disability insurance that are available for individuals. They are short-term and long-term. Short-term disability insurance will typically replace a portion of the policyholder’s salary. This can occur from three to six months following the disability. Long-term disability insurance will normally begin six months after the disability. This can last for a few years or even until retirement age occurs.